The European Space Agency’s Solar Orbiter leaves the UK this week for testing in Germany, hosting state-of-the-art instruments on board designed by teams including UCL physicists. Funded by the European Space Agency, NASA and national agencies across Europe including the UK Space Agency, the Solar Orbiter will measure solar wind plasma, travelling to within 42 million kilometres of the Sun. It will take three and a half years to reach its vantage point, flying inside the Sun’s corona to take measurements. Professor Louise Harra (UCL Mullard Space Science Laboratory), who was part of the UCL team developing the science case over several years, said: “Solar Orbiter’s goal is to ‘see and touch’ the solar wind, which is the steady outflow of charged particles from the Sun. 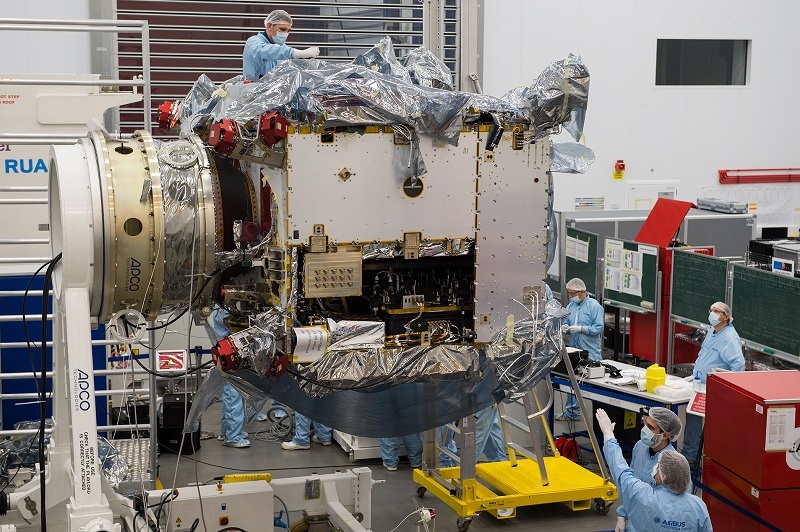 The instrument I’m involved in - EUV Imagers - will image the Sun in the extreme ultraviolet wavelengths, which will reveal areas of flarings on all scales, eruptions, and coronal holes. The solar wind is driven by the Sun’s magnetic activity. Understanding these phenomena is crucial in predicting solar storms, which – if big enough – have the potential to knock out communication systems on Earth. The Solar Orbiter will also investigate how the Sun creates and controls the heliosphere – the bubble of space filled with particles and fields in which Earth orbits. The spacecraft will complete 20 flybys of the Sun, following seven flybys of Venus which will allow for a ‘slingshot’ into a closer orbit around the Sun, allowing the craft to view the solar north and south poles. The probe will need to cope with 20 thermal cycles, with temperatures ranging from 600˚c near the Sun to minus 180˚c in deep space. To protect the spacecraft, an overarching heatshield will ensure that the main spacecraft body remains in shadow when close to the Sun. Solar Orbiter will launch from Cape Canaveral, Florida, US, in 2020, with a launch window of between 6 and 24 February.